Oh, we should also mention that Shahid Khan is worth $7.5 billion, so $125 million is just a drop in what is already a very very deep bucket of money, but the way he earned today's windfall is still really cool. Shahid Khan earned his fortune making car bumpers. You can read a complete and detailed backstory of his inspirational rags to riches life here. The long story short is that Khan's first job out of college was at an auto parts company called Flex-N-Gate. He worked there for seven years then launched his own competing business called Bumper Works. He eventually bought out his old company (which tried to sue him for stealing trade secrets) and built a bumper empire. By 2001, the company was generating $1 billion in annual revenue. Today, the company earns more than $3 billion and employs 12,000 people worldwide. In October 2011, Shad bought the NFL's Jacksonville Jaguars for $620 million in cash. He also assumed $150 million in team debt. He had to take out $300 million worth of loans against Flex-N-Gate to make the deal happen. In July 2013, Shad bought the struggling London soccer club, Fulham F.C., from Mohamed Al Fayed for $200 million in cash. In the years before the deal closed, Fulham was actually losing $20 million a year and over time had to borrow more than $200 million from Al Fayed to fund operations. Shad also had to clear those debts. Imagine if there were a bunch of American football leagues with the NFL being the most prestigious league of them all sitting at the top of a pyramid of smaller leagues. As the top league in the Pyramid, the NFL makes 10x more money than the lower leagues so everyone wants their team to be in the NFL. Now, imagine if any team could jump up to the NFL if their record was good enough. Getting up to the NFL is a huge deal financially for the team owners because that league generates the most money. It's also just really prestigious for the players and fans to have their team in the NFL. That's what's going on with Fulham. Every year, the bottom three Premier League teams swap places with the top three EFL Championship teams. It's a huge demotion for the teams leaving Premier and a massive promotion for the teams jumping up. Earlier today, Fulham played a team called Aston Villa in a playoff for the third slot up to the Premier League. Fulham won the game 1-0. With the win, they are now in the Premier League. The Premier League is the most-watched sports league in the world. Games are broadcast is 212 territories to more than 650 million homes around the world. The Premier League is the fourth largest league in the world in terms of annual revenue, generating $5.2 billion annually. The NBA #3 with $5.9 billion. MLB is #2 with $7.6 billion. The NFL is #1 with $10.7 billion. 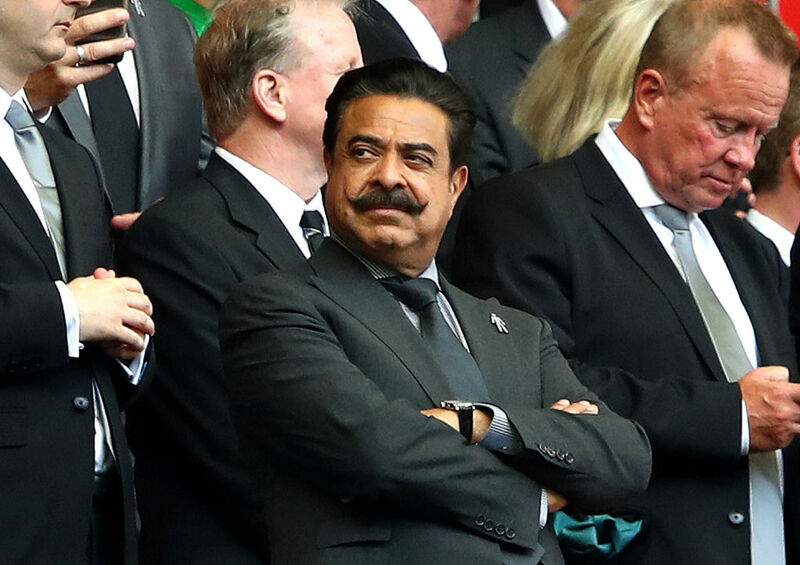 As a Premier League team owner, Shahid Khan is now entitled to a 1/20th stake of the Premier League's annual profits. The longer a team is in the Premier League, the larger their cut of annual profits. But just as a first year owner, Shahid Khan will receive a MINIMUM of $125 million. For comparison, every year Shahid gets around $250 million from the NFL. So when you add it all up, in this upcoming year Shahid Khan will earn $375 million in sports team royalties alone. Not bad for a guy who moved to the US with $500 in his pocket!